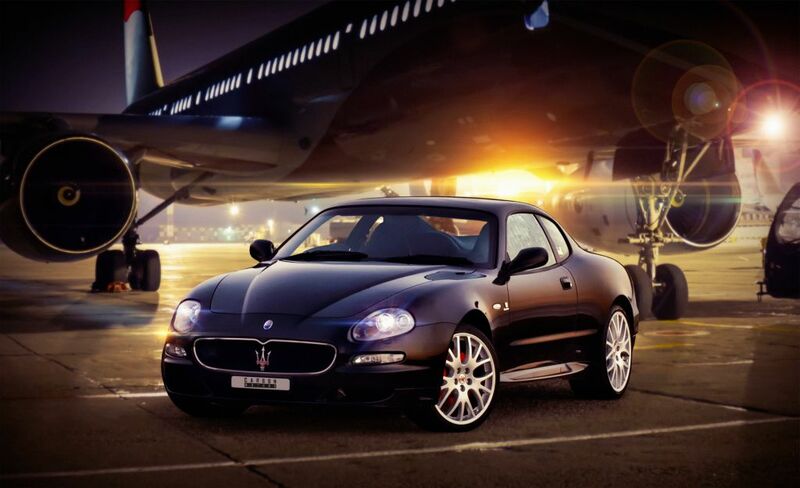 Maserati Coupé (or Maserati 4200, Tipo 138 – from 2001 to 2007) is a racing-breed grand tourer. 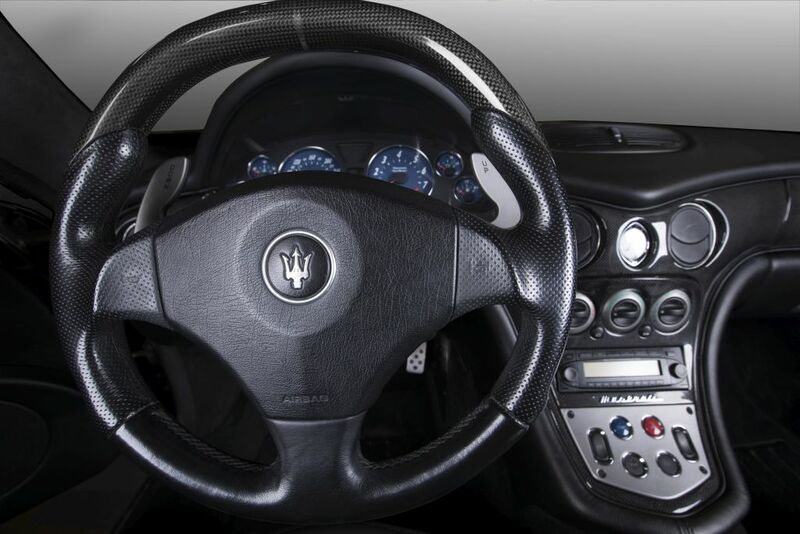 It’s engine is a Ferrari derived V8, it’s transmission is F1 with integrated differential, and the active suspension has racing mode as well. 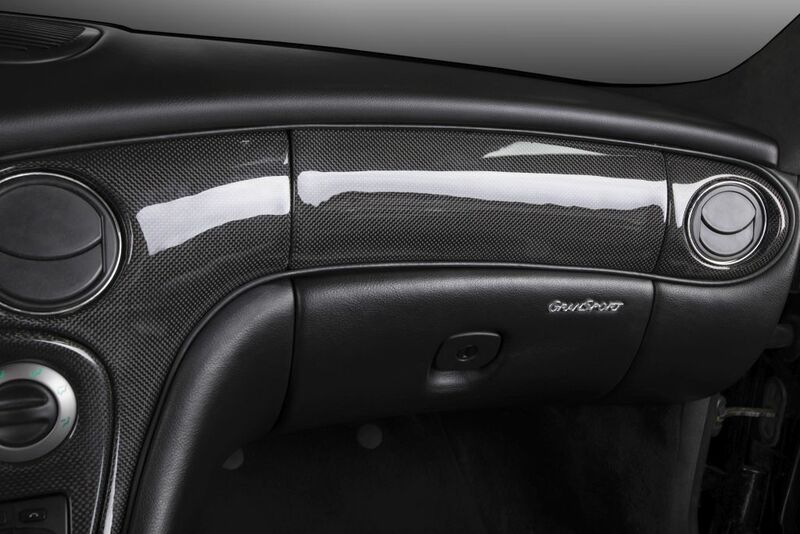 So, it is a car that is undoubtedly fast for its era and has exterior designed by not anyone else but Giorgetto Giugiaro himself. 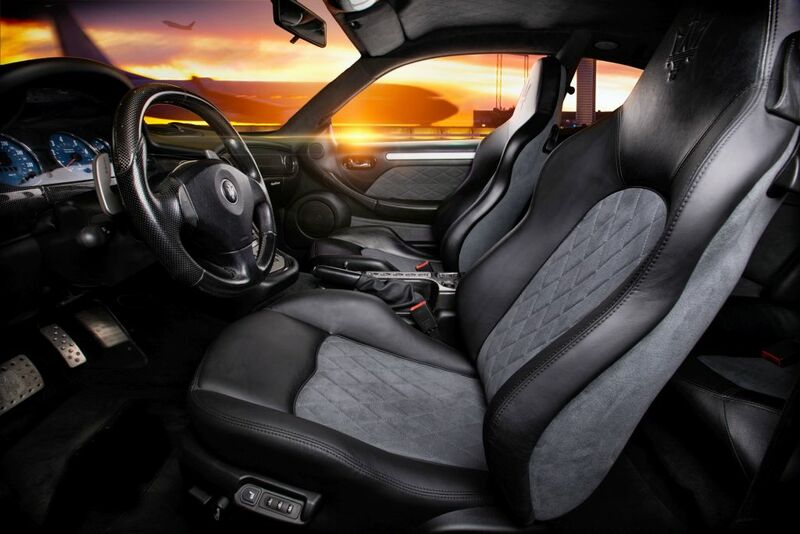 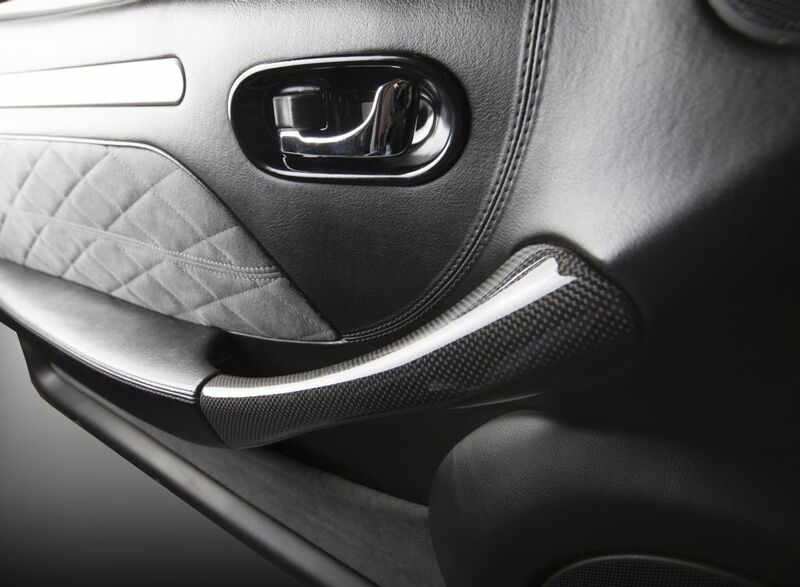 Carbon Motors’ latest approach to interiors is “minor upgrades with significant impact”. 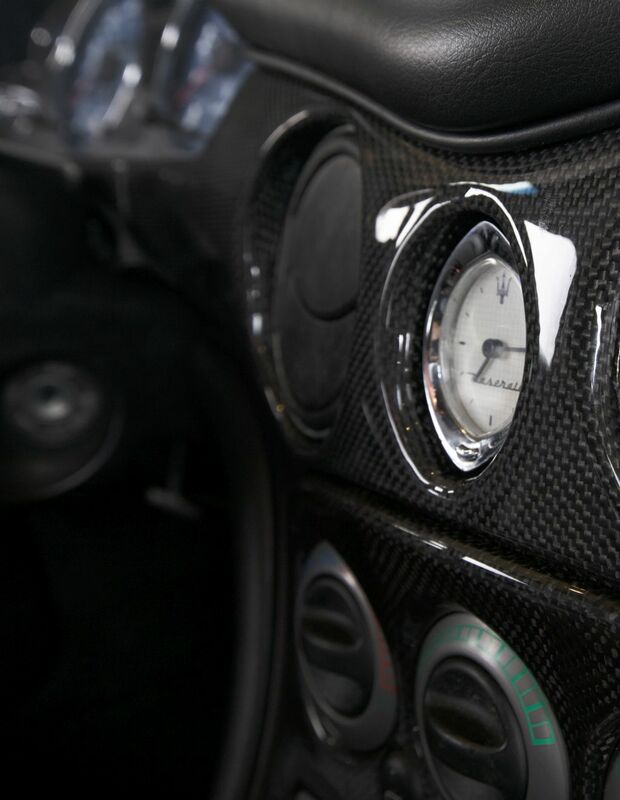 In this project, out work carried the same philosophy. 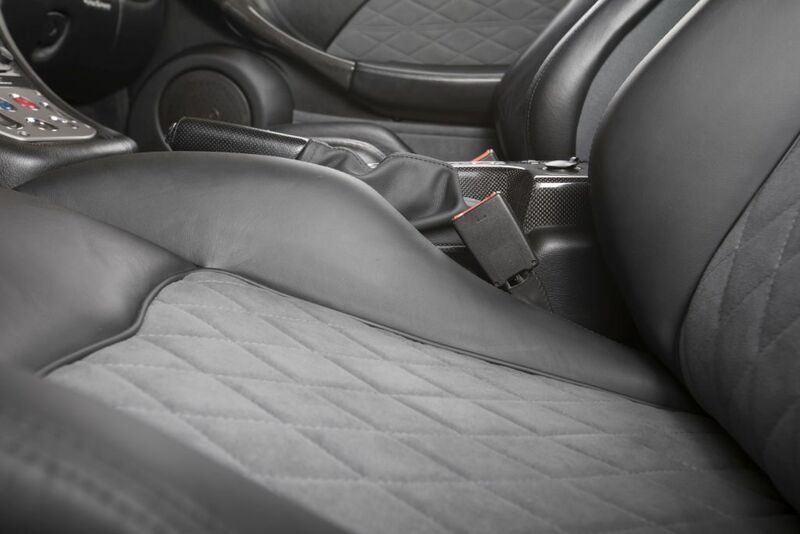 All seats are re-upholstered in Black soft leather. 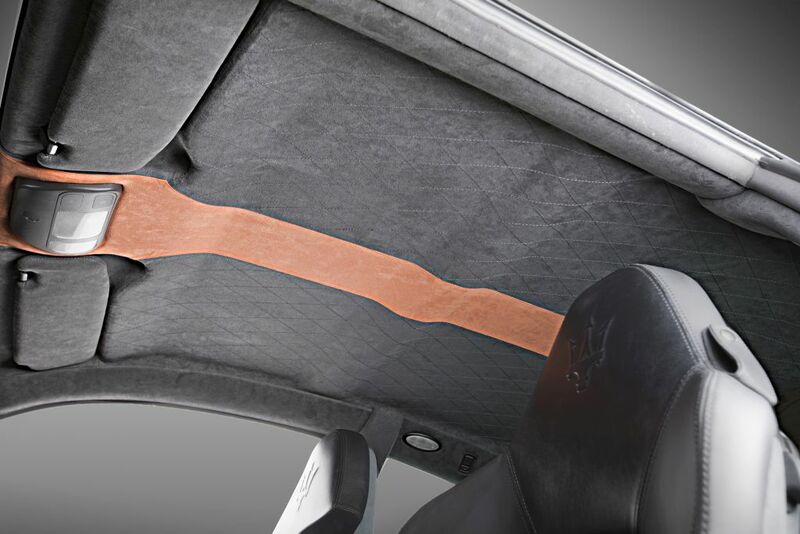 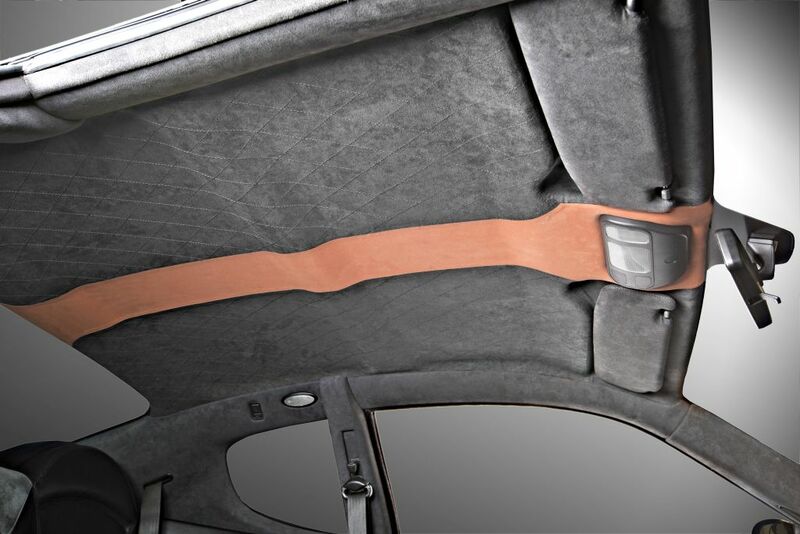 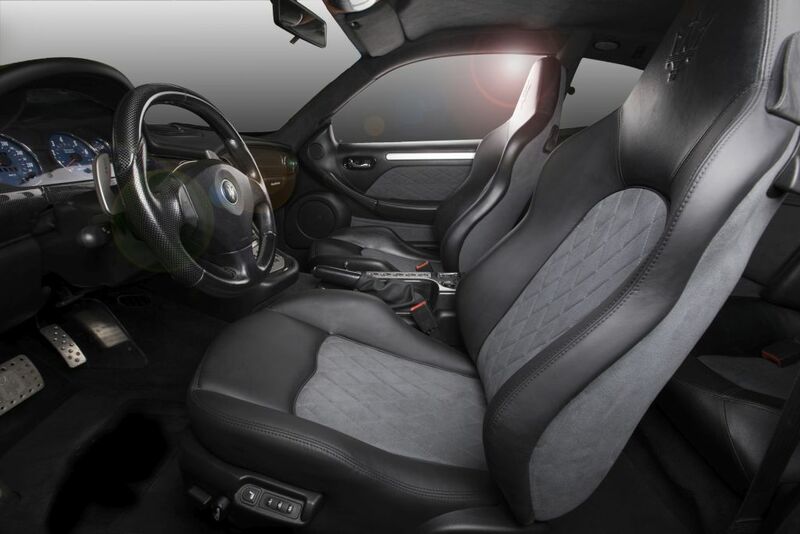 Middle inserts are replaced in grey Alcantara. 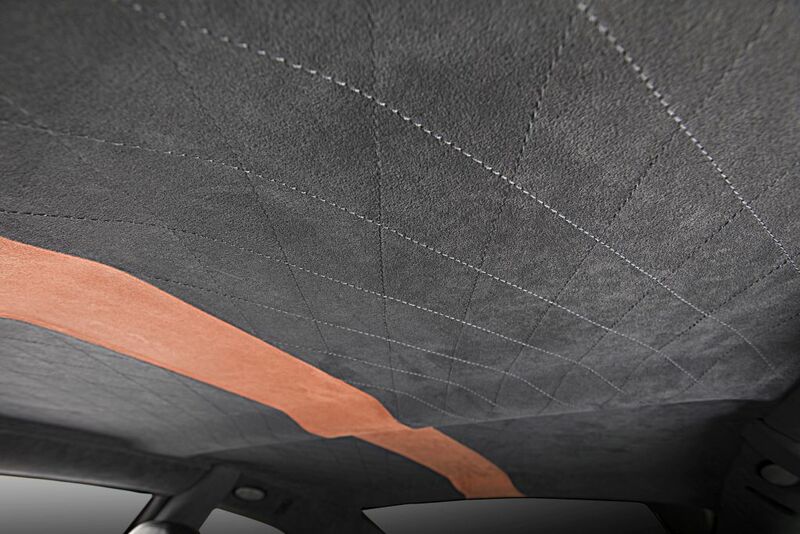 The headliner is now upholstered with quilted Alcantara and orange stripe – to remind the driver of the car’s racing breed (occasionally). 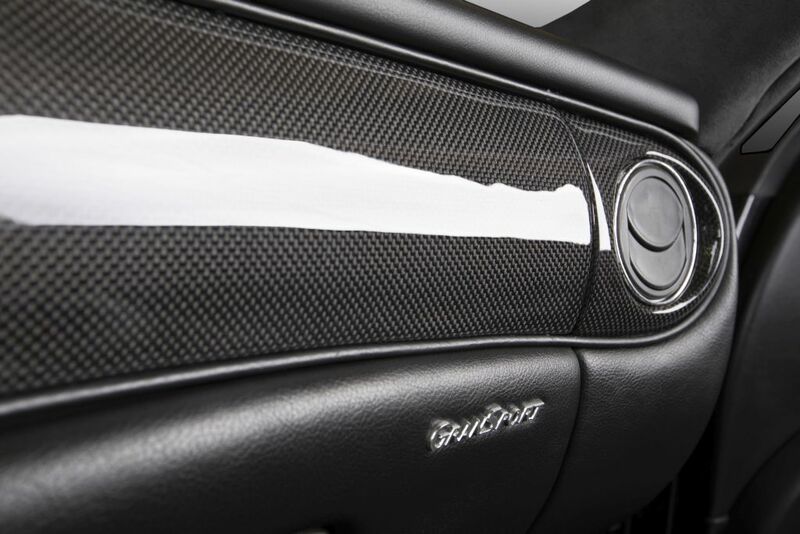 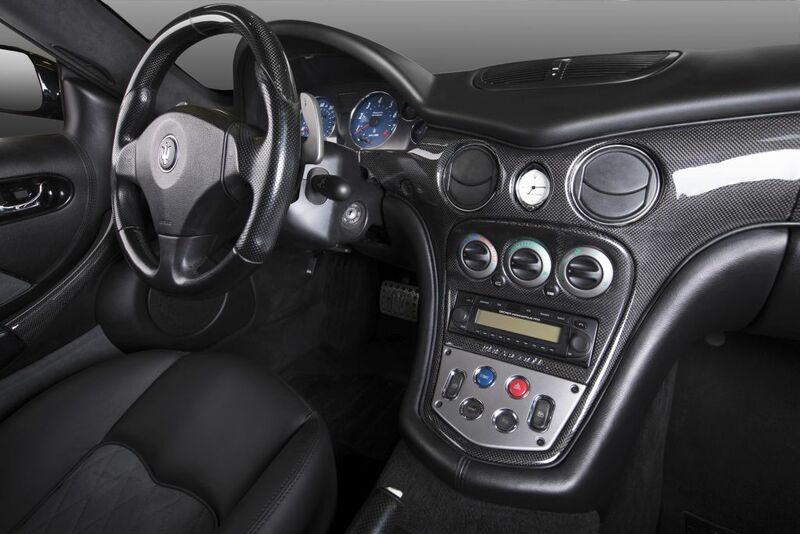 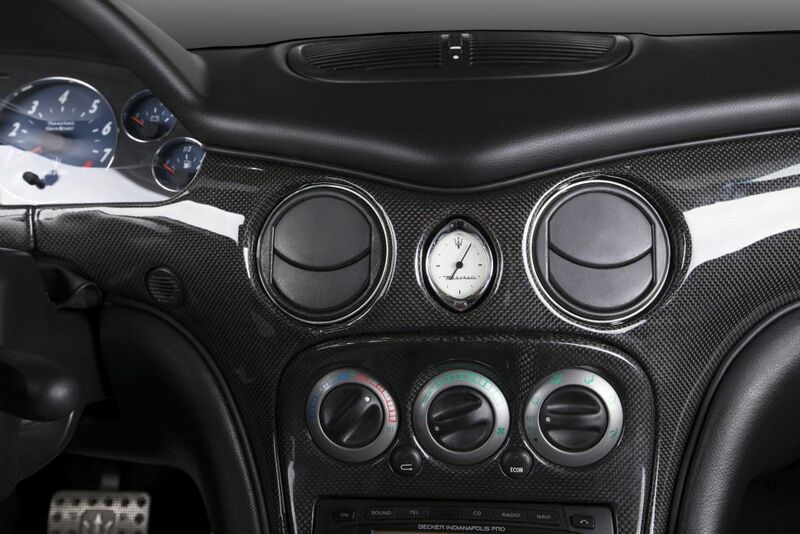 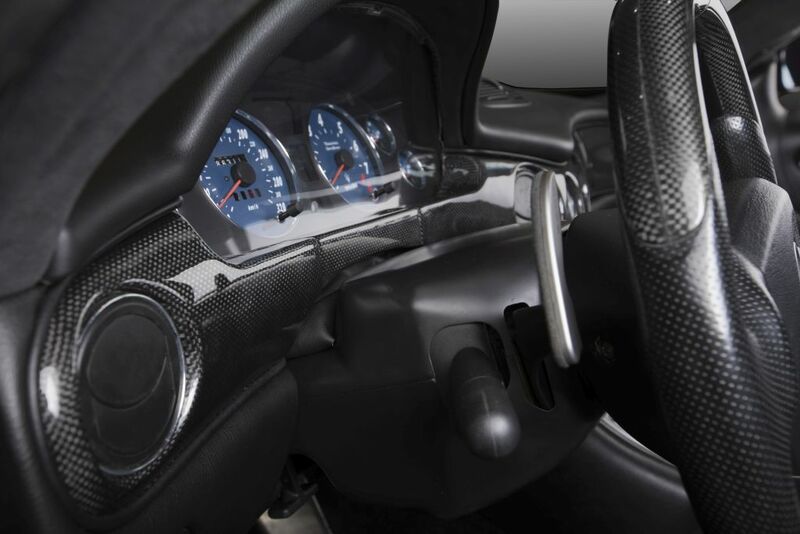 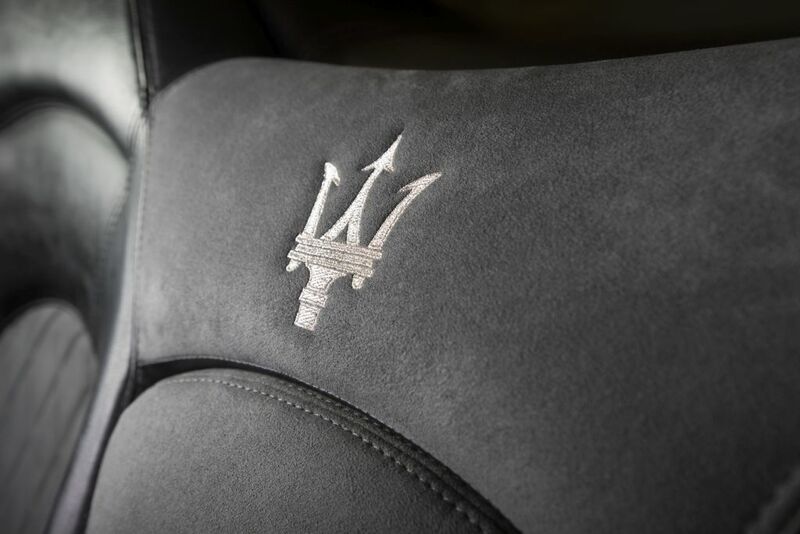 More importantly, the dashboard panels, door handles and all interior trim elements are carbon fiber coated. 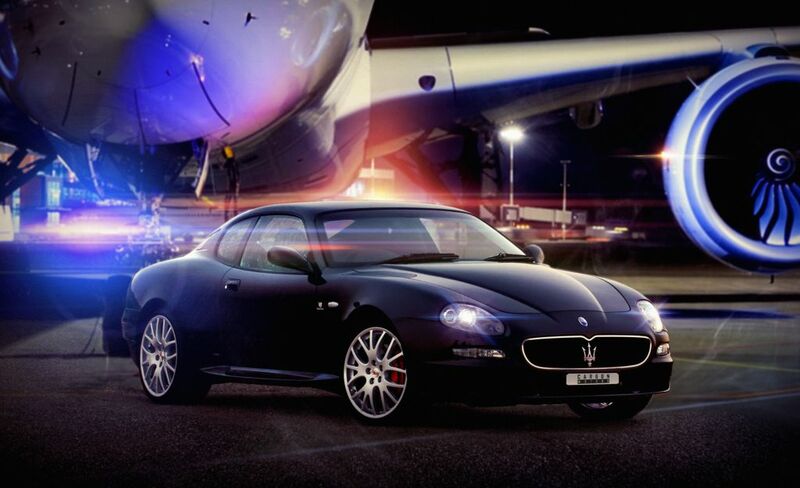 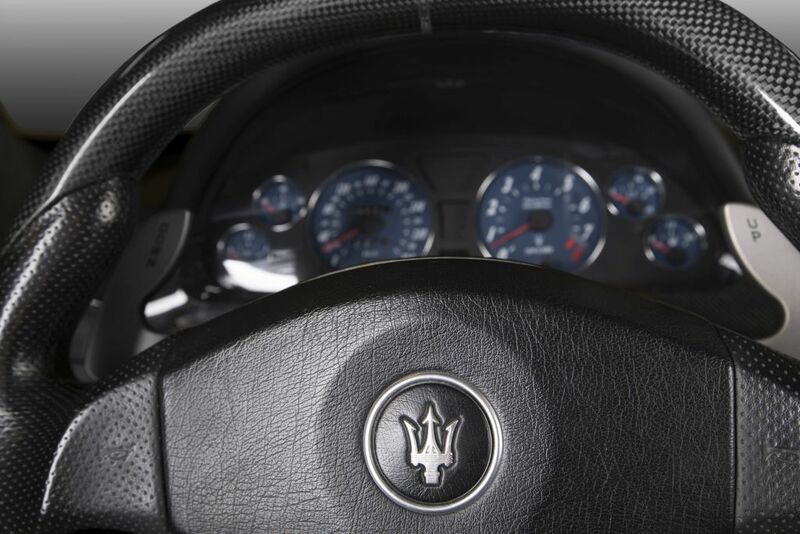 This Maserati now is sleeker and ready to carry your dreams along curvy roads!